You’ll wonder how you ever lived without this Vegan eye shadow brush! Specially made for both wet and dry use. This brush is specially designed for use both wet and dry. 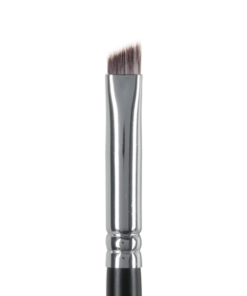 The synthetic bristles are made specifically to handle repeated wet mineral eye shadow applications. 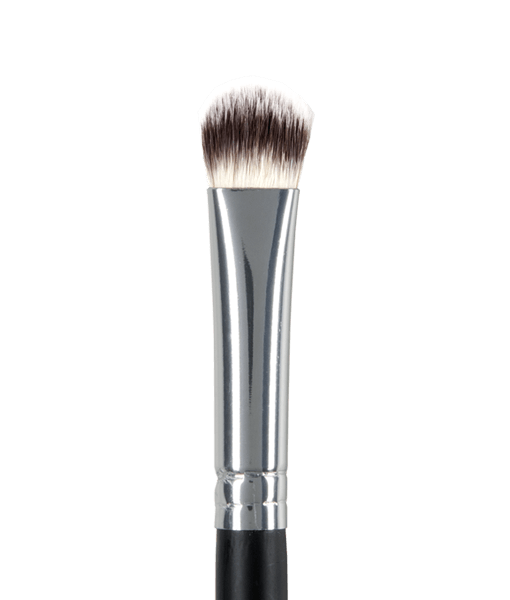 You will find this medium brush firm yet soft and gentle. When used wet: Our brush will work like a paint brush. 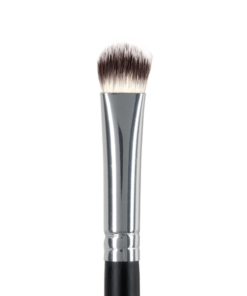 Dab the both sides of the brush into a small amount of water, dab on a paper towel and swirl in your gluten free mineral eye shadow. 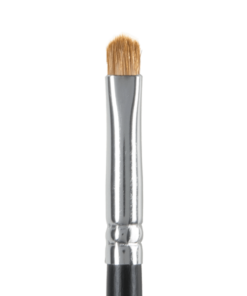 The wet/dry eyeshadow brush is made with soft, synthetic, short bristles, is wide enough to cover your eyelids and cut with rounded edges. This shape allows you to apply your favorite shadows onto your eyelids without leaving behind harsh lines and makes the brush able to hold onto more shadow. 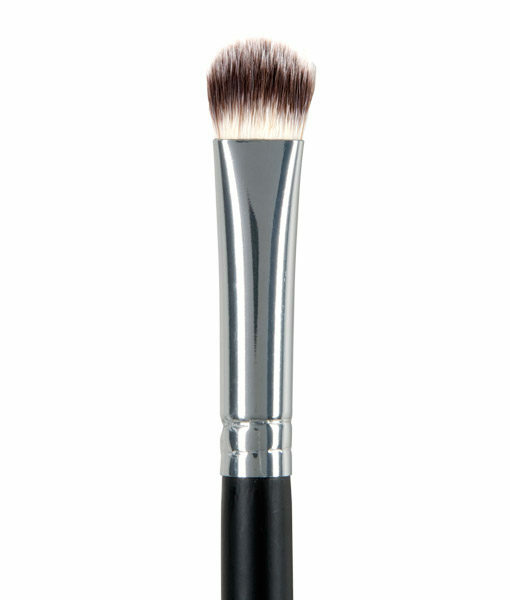 The brush is also perfect for applying a highlight to your brow bones. 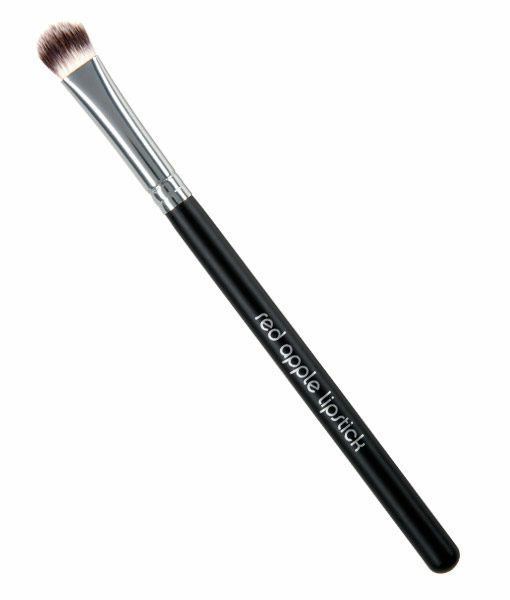 Since it’s made with synthetic bristles it’s vegan, cruelty-free and can be used both wet and dry. 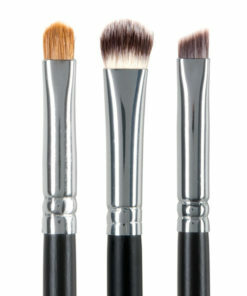 For a dry application of your eyeshadows, swirl or dab the head of the brush into your eyeshadow pan. Tap to remove excess and then pat the eyeshadow onto your eyelids. You can layer the color until you have the color payoff you desire. For a wet application, dampen the head of the brush with a little water being sure it’s not too wet. 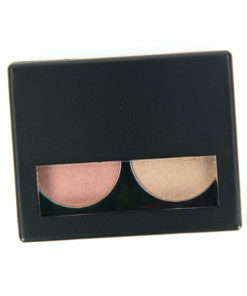 Dab the head of the brush into your eyeshadow pan and then gently sweep the color across your eyelids. Hey everybody, I have never had such a nice eye shadow brush EVER! You know, I just thought if I was going to use the eye shadows from RAL, I must use the super duper brush to apply with. And the fact that it can be used wet or dry is a huge plus!! I know RAL doesn’t produce any products without it being totally healthy for us, so I really like the size of the brush head. It’s soft, while firm and just the right width and fatness!! I really like the brush and how easy it is to use. Haven’t used it for the dry application yet, just the wet. I prefer the little sponge brushes that come in the case to apply shadow to my lid and the crease area. I know, weird, right? I like this brush enough to buy another one, and I agree with Erika, that another size would be very useful. 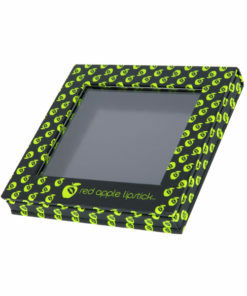 I would like a smaller one for better control when using a wet application for eyeliner. The brush worked great, but I like a thinner, deeper line, personally. This made a broader, lighter liner, but it was very pretty, regardless. I need to play with this more, but I do want a smaller brush because of my ridiculously tiny hands. How tiny are they? The last time I bought gloves, I got them in the children’s department. The label said they fit ages six to ten! This brush is amazing! I got it through the presale, and I am very picky with makeup brushes. They have to be stiff enough, but not too stiff, pick up pigment, and not lose their hairs. This one is perfect!